The Handover ceremony of three newly purchased buses. 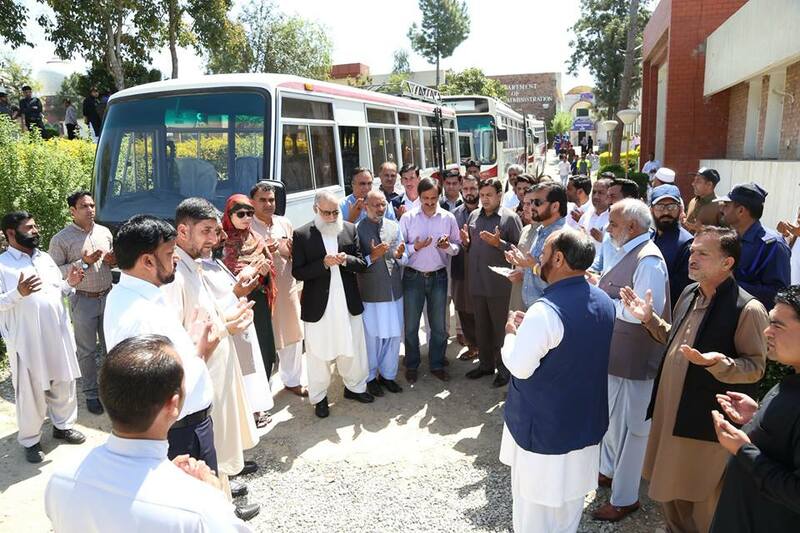 The Handover ceremony of three newly purchased buses was held near UoK monument . Ceremony was organised by Director (P&D) along with Project Director. Honourable Vice Chancellor Prof. Dr. Syed Dilnawaz Ahmed Gardezi graced the event and handed over keys of 3 buses to treasurer UoK. Speaking on the occasion Vice Chancellor said addition of these buses worth of 28M will further streamline the transport facility. He also expressed his gratitude to HEC, Government of Pakistan & Azad Kashmir for their continuous support for university. All Deans, Principal Officers, Directors, transport Officer and administrative staff also attended the ceremony.